Wine is an elegant ritual. It can be an oasis of calm at the end of a hectic day, a celebration, a facilitator of romance, or an enhancement a lovely meal. I always say when you are looking for a partner or friend — if you find someone you enjoy drinking wine with at night, and look forward to drinking coffee with in the morning, you have a keeper. In the world of wellness, wine and coffee can be tricky. A moderate amount can be beneficial to your physical and emotional health, and too much is bad for you. Quality also plays a crucial role. High quality, responsibly grown and processed beans and grapes deliver more benefits to you and the planet. Mass produced, highly processed coffee and wine can be chemical cocktails that light you up with inflammation. Back in my early 20’s, I ran a wine program for a restaurant in Seattle. Aside from having enjoyed some delicious wine while traveling in Europe, I had very little knowledge of wine and the wine making process. It was exciting to meet with wine representatives, sample wine, learn the nuances of different varietals and wine making styles, and pair wine with food. This was back in the early days of wine-by-the-glass programs; which were beginning to change the way people drank wine. Upgrading from crappy, bag-in-the-box house wine to something more delicious and food friendly was revolutionary. 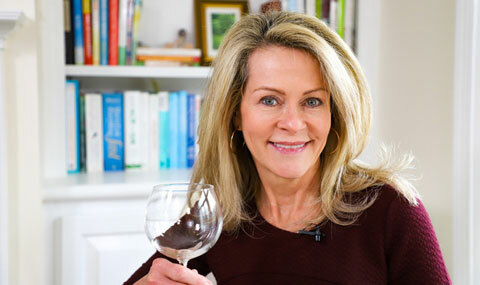 I was enthralled with how accessible wine was becoming for the average person. These were exciting times for wine makers and drinkers. Amazing pinot noirs were just beginning to come out of Oregon, California was putting wine on the world map, and wineries were popping up in every state. It was time for me to pivot into the wine business. I got a dream job for a 20-something, working for a wine distributer. I was meeting with wine makers, learning how wine is made, tasting amazing wines, and taking that knowledge to restaurants and wine stores. My new found passion for wine, combined with my mad crazy food skills, meant I was ahead of the curve. I was curating elaborate food and wine pairings for people who were newly excited about wine. People who never particularly cared for wine were getting sucked into the liquid sugar vortex of sweet sipping gateway wines like pink zinfandel and creating a new breed of wine drinkers. Wine was becoming the drink of choice. Fast forward to today. Wine is completely mainstream. There is wine on tap, wine in cans, wine bars, wine in every convenience store in America, and a wine making industry cranking out billing of gallons of doctored up grape juice to quench the thirsty masses. Along the way, wine became a highly commercialized product — processed and tweaked to increase profitability and popularity. Mass produced wine relies on an arsenal of up to 300 different chemical additives to keep their products consistent and profitable. But the real problem with wine begins with the grapes themselves. The Environmental Working Group, a non-profit group that supports organic farming practice and safe food, places grapes on their Dirty Dozen List. That means grapes are some of the dirtiest produce grown on the planet. More pesticides, fungicides, fertilizers and chemicals are used on grapes than most other produce. Consider the surface area of a grape, the chemical applications that penetrate the skin, and how that all ends up in concentrated amounts in the juice that gets fermented into wine. Scary. What’s Really In Your Wine Glass? The wine making process gets even dirtier. Grapes are tricky. Every year the growth cycle of grapes varies. The natural flavors, level of sweetness and lifespan of grapes varies across vines; which makes capturing consistency near impossible. 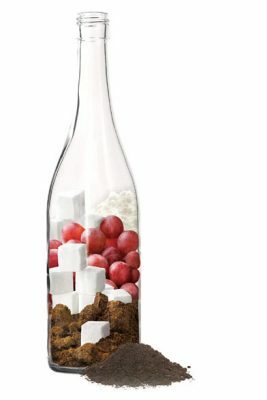 Enter sugar and chemical additives as a way for wine producers to circumvent the natural variations and create products that taste the same — bottle after bottle, year after year. 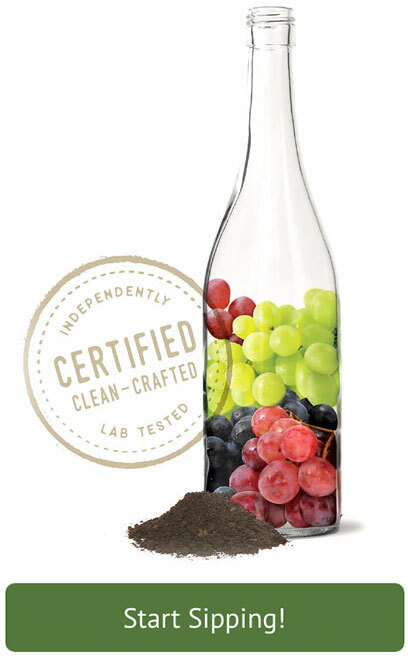 The naturally occurring flaws in wine can now be doctored in the wine making process; making processed, chemically added, sugar enhanced wine, the norm. Most of us never even realized what was different about our wine. It happened gradually, and there was nothing on the wine label to tell you things had changed. If you are like me, you just assumed there was fermented grape juice in the bottle and maybe some added sulfites as a preservative. Over the past decade, I began to experience more frequent reactions to wine. There were situations where, after a few sips, I would start feeling off. Other times, I would wake up at 2am with a screaming headache, or worse, spend a day feeling liked I had been poisoned. These reactions were completely random. I was experiencing them drinking wine at all price points, at restaurants, in friends’ homes, and when drinking wine from my own cellar. Sometimes wine made me feel horrible (click here to read some wine-over related experiences). So, I drank less wine, because I was enjoying wine less. 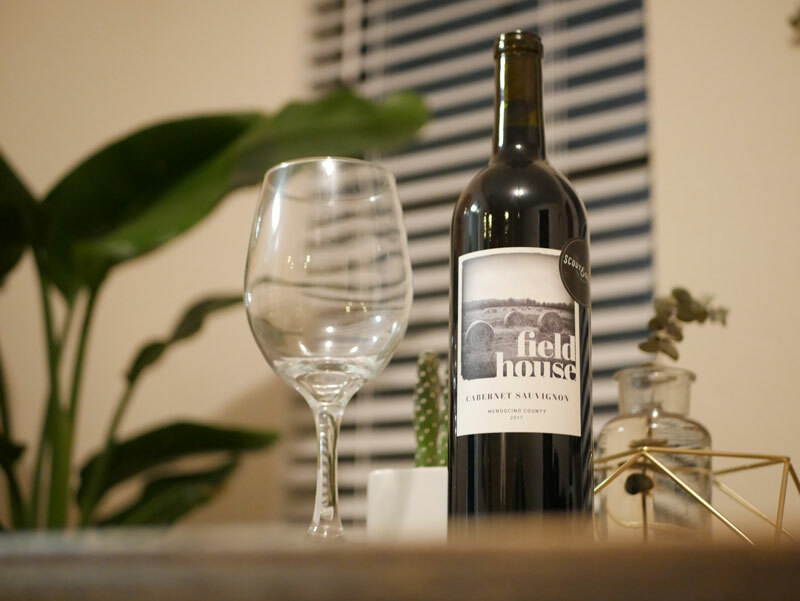 As a wellness professional trying to meet people where they are in their wellness journey, wine kept coming into the conversation. 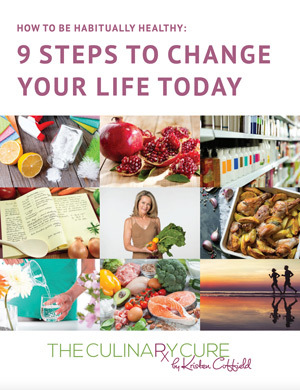 I was continually talking with people who were experiencing negative reactions to wine, “wine-overs,” frustrated with belly fat “wine-waist,” and trying to understand why. I began to research organic wine; and the lid flew right off Pandora’s Box. Organic wine means the grapes are organic, but the vinification, or wine making process, is a grey area. Organic wine is still allowed to add sulfites, use fining agents that contain animal products, fish and shellfish, add sugar and gluten, and other things I didn’t want in my wine. Again, there is nothing on a wine label that tells you exactly what is in the bottle. The only wine that is made with no added chemicals, no added sugar, uses grapes grown with biodynamic/organic farming methods, and is organic from grape to glass, is natural wine. Natural wine is a broad term and covers many different styles of wine that are produced naturally. Some are unique and esoteric, others are more traditional and appealing to mainstream wine drinkers. Complicating things is the fact there is no labeling you can rely upon to help you select a natural wine. I personally want to make sure my wine is third-party tested for purity, because winemakers have been obscuring what is in wine for years. Natural wine is what wine drinkers who care about their health are drinking. Wine consumers are frustrated with wine that is chemically laden to the point it creates off-the-charts inflammation in the body, and makes the drinker feel unwell. It is not the wine, but the chemicals that are so dangerous. Natural wine is the solution to processed wine. If you have ever sipped local wines when traveling in Europe, you know the joy of natural wine with no chemical additives. You can drink wine that tastes of the place it is grown, is delicious with food, and doesn’t make you feel bad. Wine as it was made for centuries. Most of us are too busy to hunt down natural wines, and it can be hard to find a large selection in any one place. They are becoming more available and receiving a lot of attention in the media right now. There are restaurants serving natural wines and both Food and Wine and Bon Appetite are writing about the natural wine movement. How Do I Find Natural Wine? I hope I haven’t ruined wine drinking for you. It can be one of life greatest pleasures to enjoy a wonderful bottle of wine. The good news is I have found an online source for clean-crafted natural wine! These wines are selected by a level three sommelier, tested for purity, and shipped to your door. These wines include a large selection of natural wine from small, biodynamic, family vineyards from all over the world. You can choose wine that is better for you, and the planet, and sip with confidence. Natural wine meets you at the intersection of lifestyle and wellness. Once you taste clean-crafted natural wine, you will remember why you fell in love with wine in the first place. 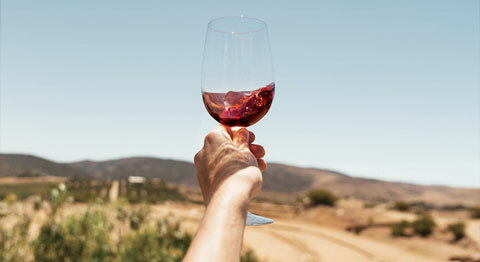 Taste your first sip of clean-crafted natural wine, click here!